The softball team won its sixth game in a row Saturday versus Northern Kentucky. The softball team (20-15, 9-3 HL) extended its win streak to six Saturday with a 7-3 win over Northern Kentucky (17-16, 4-7 HL). 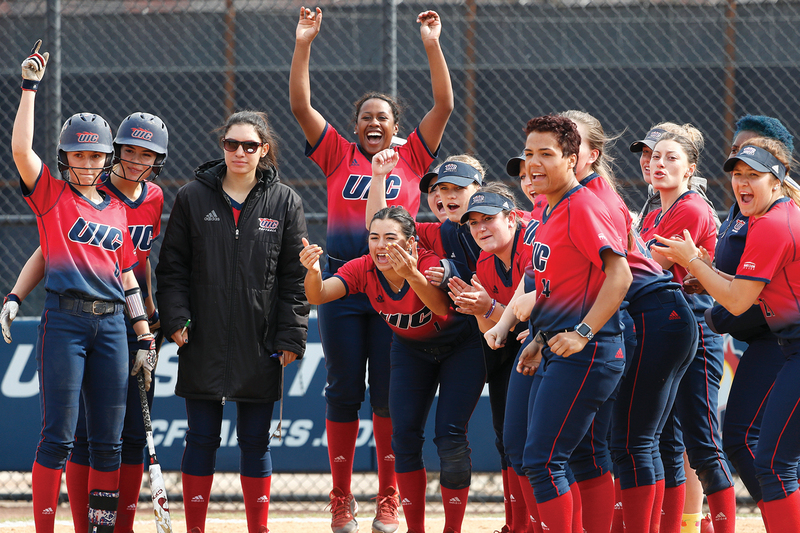 After a nearly two-hour rain delay in the bottom of the first, the Flames came back on the field and took control to secure their second-consecutive series sweep. Up next for the Flames is a game at DePaul April 18. Lexi Watts started the game with a leadoff single, moved over on a grounder to second from Skylee James, and scored on an NKU fielding error off the bat off Tiana Mack-Miller to give the Flames a 1-0 lead. Maddie Spinks opened the second with a single up the middle. Taylor Cairns bunted to land runners on first and second, and a triple from Skylee James brought both runners, 3-1. Mack-Miller walked and Griman grounded out to bring in James and make it 4-1. The Flames kept the offense coming in the third, as Cairns reached on an error and stole second. Watts grounded out to move Cairns to third, and a single up the middle from James allowed her to score. Mack-Miller drew another walk, and Alyssa Griman put a bouncer down the right line and outran the tag to load the bases. Kayla Wedl put one in the right field gap for a double, to grow UIC’s lead to 7-1. In their final batting opportunity, NKU added a final run off after a pair of singles and a walk, ending the game by a final score of 7-3.